For every Puerto Rican, the past September 20th became a day that will never be forgotten. At 6 a.m. Hurricane Maria entered along our coasts and became the most powerful and destructive hurricane in our modern history. But it also transformed the Puerto Rican spirit. The challenges that have risen since Maria’s passing have promoted that citizens come together to help one another. Spaces like the Solidarity Hub of Sagrado With You have focused their efforts on healing and rebuilding a new future. 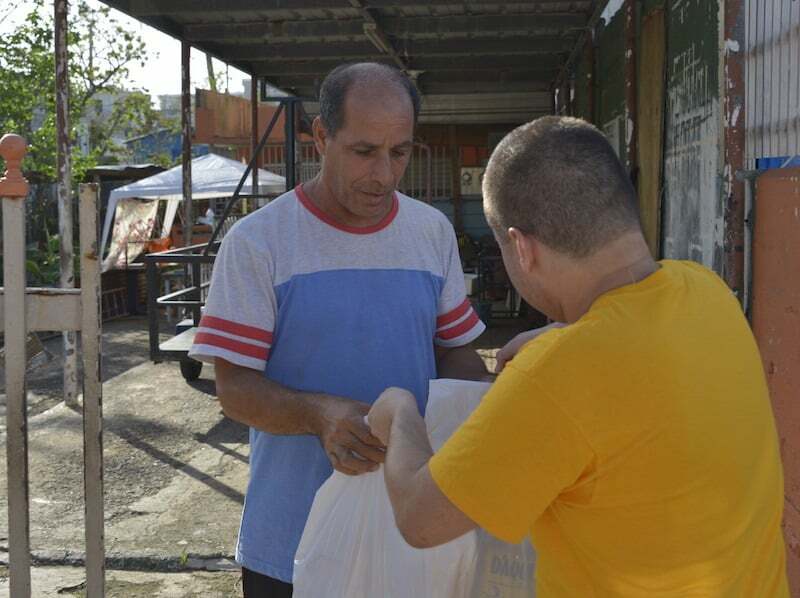 The Solidarity Hub’s work has helped Sagrado become a place where people find the necessary resources to move on. Photo by: Nestor Mendez. According to Edwin Figueroa, coordinator of Pastoral Ministry Projects, the Solidarity Hub doesn’t only provide water and first necessities, it also brings hope, acceptance, and love to students, employees, and the neighboring communities. We want to provide healing, open the doors to this catharsis process that’s so important. We want to hug them because every one of them is important. That’s why, if you ask me what stories have impressed me the most, I can’t just pick one. Both the young man that arrives in a bicycle in the blazing heat to get some water for his family, and those who have lost their home, or the young people, who after the hurricane, have found themselves as family heads, all of them leave their footprint here”, said Figueroa. 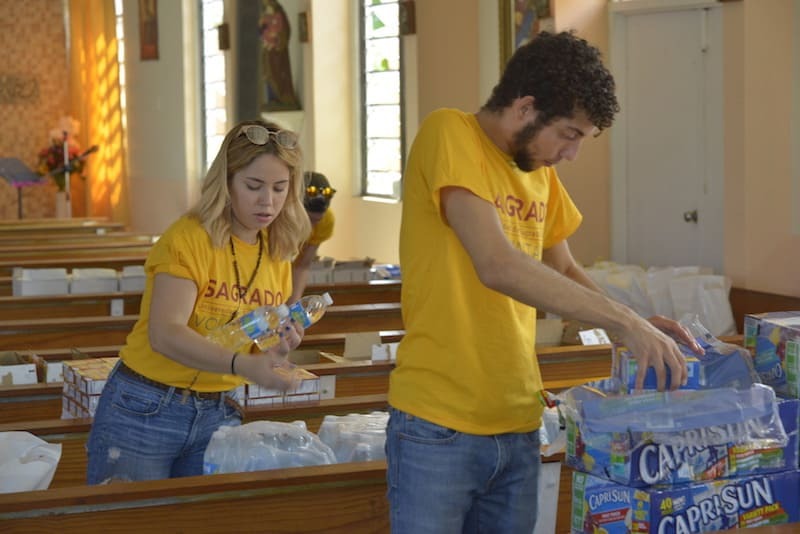 The efforts by the Hub and Sagrado with you, that count with 316 volunteers and have reached over 5 thousand families, have helped Sagrado become a place where people find the necessary resources to move on. “This experience has given us an incredible life lesson. It has taught us that if we dare to endeavor, we’re willing to adapt and help each other we can turn obstacles into growing opportunities. Maria has taught us Puerto Ricans that we are own superheroes”, he concluded.